Based in the Manchester area, Solargen are committed to providing you with a professional and complete service leading you forward into the Renewable Energy world. 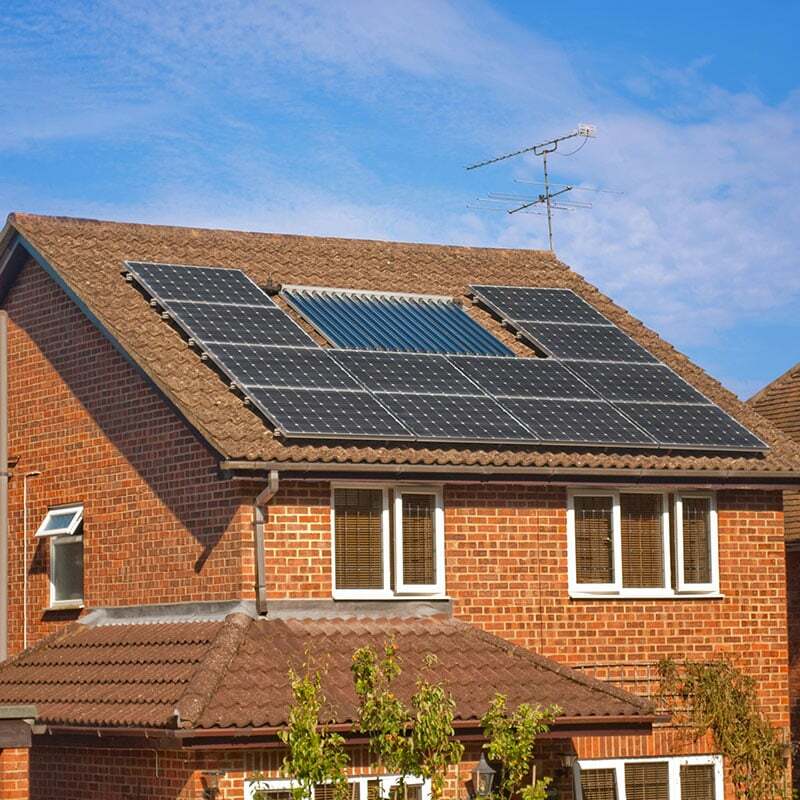 We combine superior products with an outstanding team of approved, experienced advisers and qualified solar panel installers to ensure that you get the highest quality system providing maximum levels of generated energy, and so in turn maximising your return. As a Solargen customer you can have absolute confidence in us, working with you, towards a brighter solar future. Solargen Energy is an accredited member of both RECC (Renewable Energy Consumer Code) and MCS, so you can rest assured you’re in safe hands with a Solargen solar panel installation. Please click the logos below to find out more about why it’s important to select a fully accredited contractor. Solargen Energy Ltd is authorised and regulated by the Financial Conduct Authority. In order for us to provide a quotation, one of our electrical engineers would need to conduct a survey on your roof. We need to see how many solar panels we can fit, and what your returns are likely to be. We take into account the size of the roof, the angle, the orientation, the location of the property, and also have a quick look at your existing electrics to see how the system can best be incorporated into your home. e will then take these figures back to our office, and provide a written quotation by post or email, with a reliable estimate of your returns. There’s no pressure selling as we don’t employ commission based salesmen, and there are no hidden costs – what you see on the quote is what you pay. If you decide to make the important step towards a greener future and a reliable investment, you can then call us up and we will take care of everything from there. The actual solar panel installation takes no more than a day, with a half day either side for the erection/dismantling of the scaffolding. The work is non-intrusive, with the majority of works taking place on exterior of the building or in the loft, and so minimal disruption is caused. Once the solar panel installation is complete, Solargen will complete all the necessary paperwork for you to ensure that you receive your correct feed in tariff, so you can sit back and enjoy the benefits of your panels with no extra hassle. All our systems come with the Solargen guarantee, and our inverters have a 5 year warranty as standard. Additional warranties are also available for purchase. Photovoltaic cells are the cells used in solar panels to harness the sun’s energy. The word ‘photovoltaics’ is literally translated to mean “light electricity”. You will have come across solar cells before in calculators, emergency road signs, and they’re even used on satellites in space. This is the same technology that we use here at Solargen to power your home in an environmentally friendly way. The solar panels on your roof capture the sunlight and transform it into a DC current. This current flows through into your loft space to an inverter where it is converted to AC current – the electricity that we use to power our homes. This electricity is then delivered to your mains circuit board where it can be fed back to the grid (which is how you acquire your F.I.T. profits) and also used within your home to power your appliances. Do I need permission to install a solar panel system from anybody eg. electricity company, local council? Only if you live in a listed building, or a conservation area. How do I claim the FIT and is it guaranteed? Once you have an install date you can contact your current supplier and ask them what their procedure is for signing up. All of the large suppliers have a ‘home generation’ sign up form which you will need to send back completed. It is part of our service at SOLARGEN to do this for you to make the transition easy and stress free. Can I pass my rights to receive FITs payments to someone else? Yes you can assign the rights to some one else . Please ask us for more details. When you sell your property. you can choose whether to pass ownership of the FIT to the new homeowner as a purchasing incentive, or you can continue to keep the FIT payments yourself. Figures from the Energy Savings Trust show that properties fitted with Solar PV sell faster and generally command a higher offer or asking price. What happens in winter? Will my panels still work then? Solar panels generate electricity from daybreak onwards, and continue to work even during the short winter days when it is over cast or raining. Will my supply be any different eg dimmer lights? You will notice no difference whatsoever, and all your appliances will work as normal.